Traveling is my greatest passion. I haven't traveled a lot (comparing to how i would like to :D) but still I've been to some places, mostly in Europe. Amsterdam, The Netherlands (20 y.o.) - participation in an international film festival "TheOneMinutes Jr."
One trip give me so much happiness, experience, adventures and excitement, that i won't exchange it with anything "material". I haven't been anywhere just for vacation.. everywhere i have been to, i was on some event - workshop, festival, conference, internship, work camp, etc... and on each all of these cases i got full or partial expenses covering. But the obstacles are not only the ticket costs (which is by the way very expensive for the flights to/from Armenia), but it's also the visa restrictions. It's not so easy to get a Schengen visa or especially a US visa. My next trip is to the Venice of the North - Saint Petersburg for an international youth Festival of Friendship - Dec. 3-7. Frankly speaking, Russia wasn't in my travel plans, and especially Moscow is among my least favorites.. but i couldn't miss the opportunity to see Piter. I've heard that it's very much Venice-like (you know, i'm addicted to cities on water, especially with water arteries like Venice and Amsterdam), so i will definitely like it. The aim of my post wasn't telling about my travel experience but to describe you how I am getting ready for my next long-awaited trip (all my trips are very long awaited, i can never get enough!). 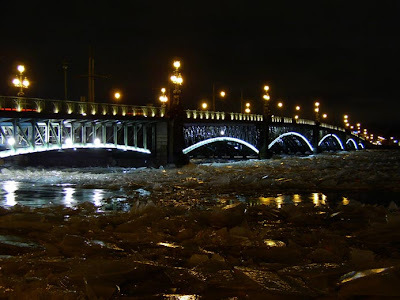 So, before leaving for some city, I'm checking it's page on Wikitravel, for example Saint Petersburg. 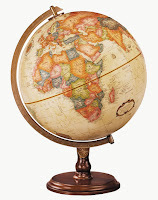 There is all the needed information starting from "How to get there" (planes, trains, buses, boats), contacts and websites of hotels, hostels, eating and dining locations according to the budget, travel tips, main tourist attractions and sights. Then i'm finding the venue and my places on google maps. In this case (for Russia) Яндекс.Карты is better. I'm looking the routes to the places, subway maps etc... When in Netherlands i was planning my trip to Milan, and I had to change several means of transport - buses, trains, plane (Rotterdam - Eindhoven - Bergamo - Milan), i had planned the whole route minute-by-minute, and printed out detailed maps. And that trip really went as excellent as i planned! Google Earth (Photos geo-tagging and panoramio) is great for seeing the photos of places.. and going to the same views for taking good pictures ;) So sometimes I'm going somewhere knowing which scenes i need to shot. 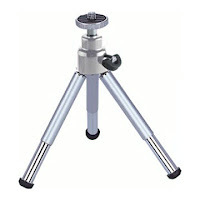 My personal recommendation - take a tripod!!! It's required if you want to have good night shots. A table one would also do (I have bought one for 10 EUR and it's for not professional cameras, only for compact ones). It's enough to find any flat space you can put it on, and leave it like that (I'm so much thankful to trash cans in Amsterdam :D). Good also if you're traveling alone and there's nobody to take photos of you, tripod can help you here! I'm also looking at tourist information websites... 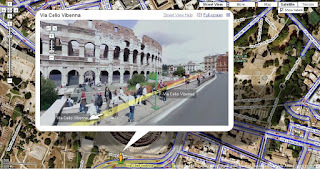 This time I found something very amazing - Virtual tours ! I can download audio guides, put them into my phone (audio player) and listen while walking in the streets there... also on the way - in plane/transport. So when i get there, the places seem familiar :) i know what to expect, I'm ready for it! "Моя твоя нэпанимать or yes, I am a table"
I usually also pick a hard-copy travel book and a phrase-book of the language. This time it's not needed since I speak Russian and the trip is short, so there's not enough free time to enjoy the city on my own. But for Istanbul, i had a nice travel guide which i read on the plane and i have learned the basic phrases in Turkish. If you are walking in the streets, buying something, it's better to say several phrases in their own language, so that the people is being really friendly and helpful. You travelled a lot if compare with others (ne budem pokazivat palcem)).. But there's no Spain in your list, you should correct it ;) Barselona! About dreams, reminders, in short - dreaminder! Copyright © 2008-2012. Arpik. Design by GabsGiggles & sunmeadow. Simple theme. Powered by Blogger.